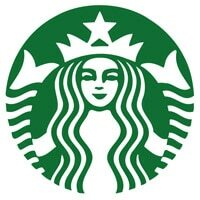 Coffee chain giant Starbucks now has 12 million active users of its mobile app in the US and Canada alone. Customers make six million mobile payments a week — representing more than 15% of all transactions in its US stores — and the company is pursuing a range of opportunities to expand the potential of its mobile payments platform, CEO Howard Schultz has revealed. “Customers continue to embrace our industry leading mobile app in increasing numbers,” Schultz explained during the company’s third quarter earnings call. “By integrating mobile, loyalty, payment and in-store digital experiences, we are creating the game-changing technologies and experiences for our customers and the opportunity to introduce new lines of business for our company. “A prime example of this is our forthcoming mobile order and pay initiative that allows customers to use their phones and MSR [My Starbucks Rewards] accounts to order ahead of arriving at a store. We plan to pilot this in a major US market later this year. Consumers in Korea became the first to be able to order their Starbucks ahead and pay with their mobile phone in June this year. Chief digital officer Adam Brotman revealed at the launch that Starbucks “plans to bring express ordering to other parts of the world going forward”. “Mobile ordering is just the first of many initiatives in the pipeline that will enable Starbucks to extend its lead position in mobile payments,” Schultz continued. Starbucks announced in February that Schultz was to focus his time on innovation and next generation retail and payments initiatives. Global chief strategy officer Matt Ryan updated analysts on this project during the call. “We can tell you right now that we are in a series of very active conversations on this with both technology and financial services companies that would be potential partners here,” he said.